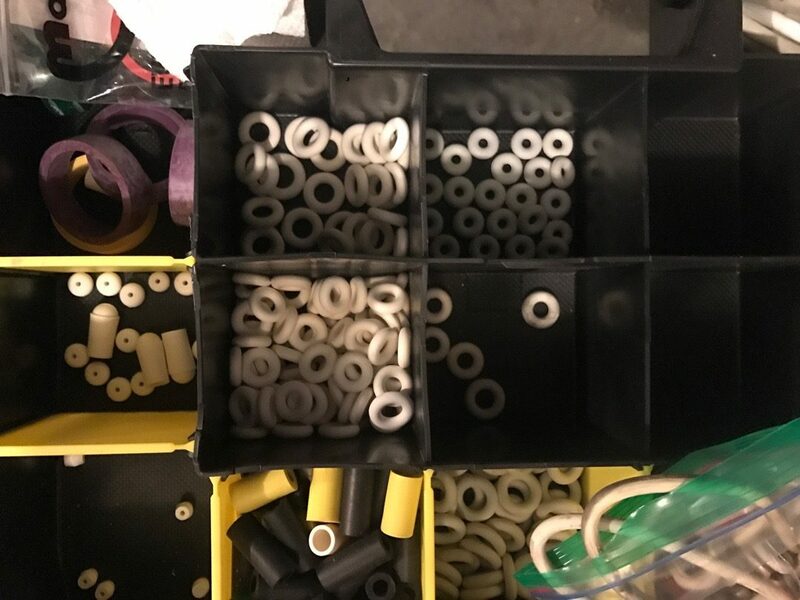 White, Black, Silicone, Superbands, and more! The one thing that every pinball machine needs every few years is new rubber. Much like the rubber on your tires, once it gets 5 years old it starts to deteriorate to the point where it likes to fall apart. On top of that, you have white rubber, black rubber, and now silicon rings which play like rubber but are something totally different. I’m going to run down all the different types, what I recommend and where to buy everything. White is the original rubber that was used on all pinball machines. Super bouncy, it bounces better than all other colors. Bet you didn’t know that different colors bounce at different levels? Usually, the lighter the color, the more it bounces. So white is typically the bounciest, while black has less bounce and offers more control. The problem with white is dirt. While black hides all the dirt, white can get dirty pretty quickly, making your new rubber look like it’s old. A quick wipe down fixes that, but it’s still additional time. On the flip side though, white rubber produces far less dirt than black rubber, meaning the playfield stays way cleaner with white rubber. So basically, either way you’re going to be cleaning something more often. The one place white rubber is typically never used is the flippers themselves (except for on 40 year old or older games). On newer games the rubber gets too dirty and bounces too much to make it a good choice. I typically put white rubber on all of my games when I replace all the rubbers. I find they last longer than black most of the time, and keeps the game cleaner. For the flippers, I usually match the color to what would look good on the game (red, yellow, orange, purple, etc). Some of those colors like orange though are really bouncy and make the game very hard. Black is the standard which all new games are shipped with. Because it hides dirt so well, operators prefer it so it makes their games look newer longer. It offers a pretty good mix of durability with looks and playability. As far as aesthetics go, some games look better with white and some look better with black. I think most of the newer Stern games look better with black while some of the older titles look much better with white. The color scheme makes a big difference with which one looks best. Generally, black is the most common rubber on modern games. I used to prefer black for a long time until I did white on a Star Trek: The Next Generation machine. The white on it played better so I switched from black on all future games. I’m still on the fence whether I like them or not. On the flippers, they can cause some unnatural grip and bounce that’s hard to get used to. There are two major players in the Silicone space, Titan Pinball and Perfect Play. Titan is generally thought of as the leader in the non-rubber category. 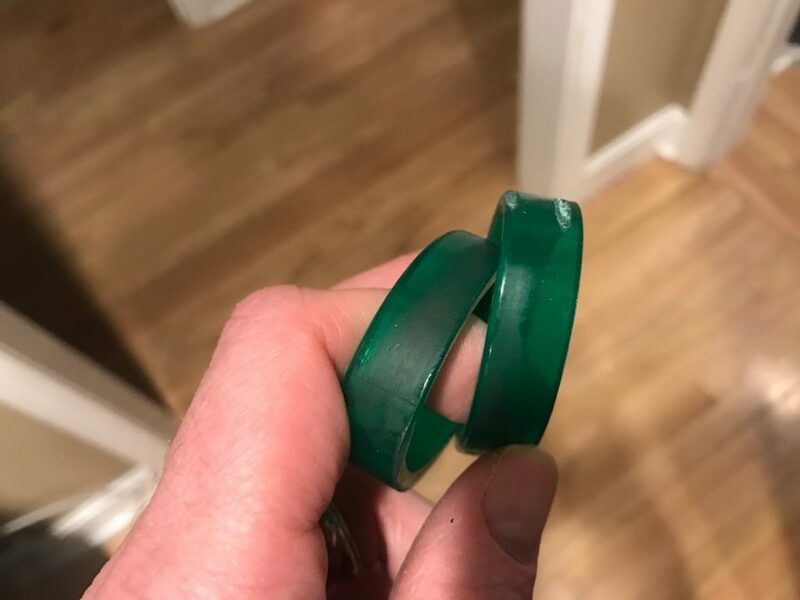 Superbands are made from polyurethane and are very similar to the silicon rings, so the descriptions above still work for them. They are less popular than Titan’s rings mainly because they change gameplay more than Titan’s. They’re also more expensive than Titan’s but they do last longer to make up for that. I had some Superbands on the flippers of Creature of the Black Lagoon and I definitely did not like the feel, so your mileage may vary. I think if I were to a game in new rubber that I was planning on keeping for a long time, I’d probably go with Titan Pinball silicon rings. The overall look is better and the additional cost is minimal. I’m probably going to have to do some of my older games here in a year or two, and that’s probably the direction I’ll go. What I would suggest is getting flipper rubber from all the different brands and then trying them out. That way you can see exactly what you personally like better before investing a bunch of money.